Infinera announced that its DTN-X optical transport platform has been deployed across the trans-Egypt terrestrial segment of the Middle East and North Africa Submarine Cable System (MENA-SCS), providing multi-terabit capacity and offering network services to customers today. 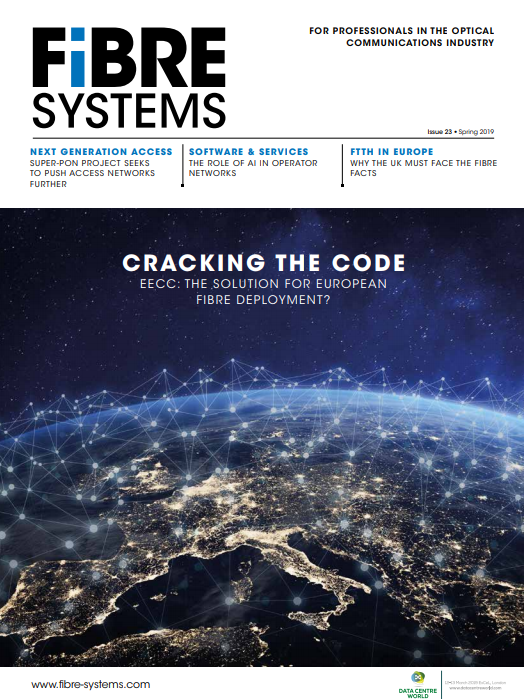 MENA-SCS, a subsidiary of Orascom Telecom Media and Technology, owns and operates an undersea cable system connecting Europe to the Middle East and Southeast Asia. Spanning three continents, MENA’s infrastructure provides wholesale capacity to global networks via Asia and the Middle East. The 930-km-long terrestrial segment connects Abu Talat landing station on the Mediterranean Sea with Zafarana landing station on the Red Sea side, crossing Egypt via two different routes for redundancy. With the deployment of Infinera's equipment, MENA is equipped to provide wholesale carriers with a range of connectivity services from STM-1 to 100Gb/s and scale up to terabit capacity. MENA-SCS selected the Infinera DTN-X platform, which exploits photonic integrated circuits (PICs) and software-selectable FlexCoherent modulation to deliver 500Gb/s super-channels from a single line card. By integrating DWDM optical transmission and up to 12Tb/s of non-blocking OTN switching into a single platform, these 500Gb/s super-channels provide network operators the ability to easily scale to terabits of transmission capacity. In addition, Infinera's intelligent software, combined with this converged platform, automates network operations with the intent of reducing both operational cost and service delivery times.